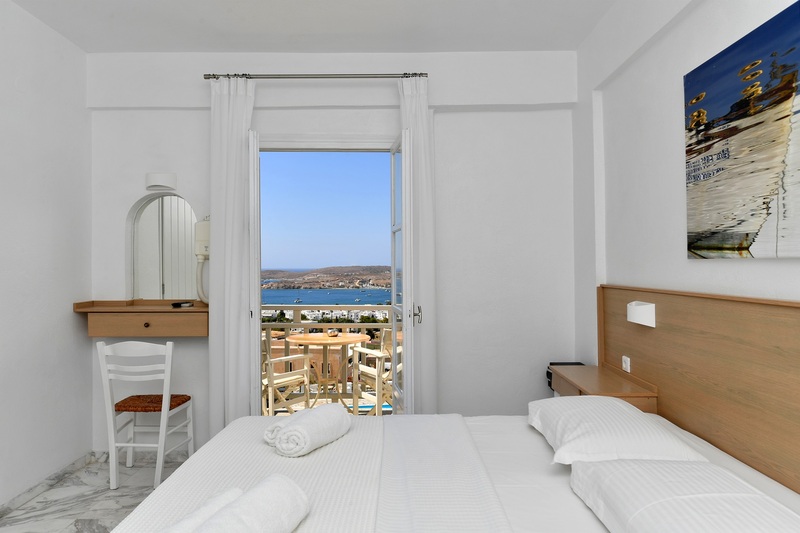 If you are looking for comfort, accompanied by warm hospitality, while visiting Paros with your significant other, our double rooms will fulfil your expectations. 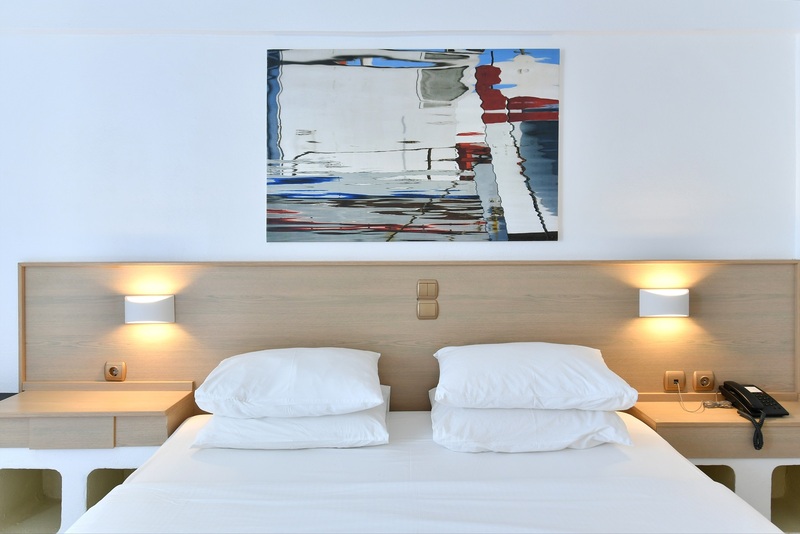 You might be also looking for an accommodation for three guests. Sunset View Hotel has that covered too. 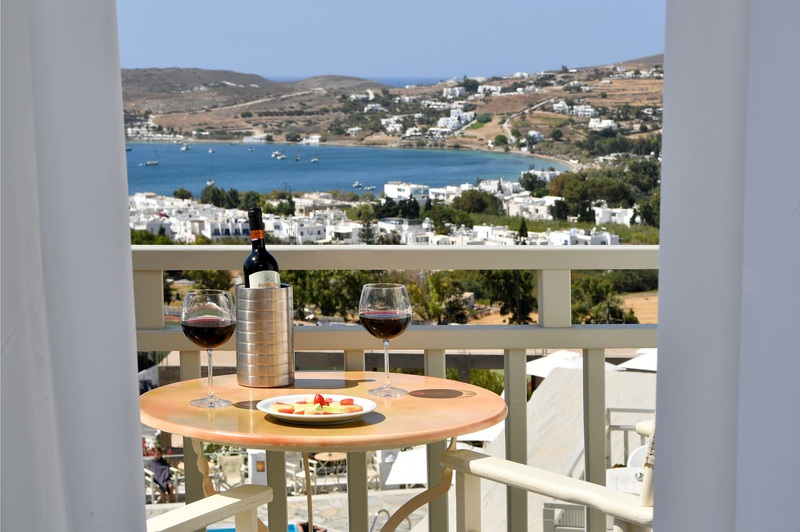 Enjoy an exquisite view of the sea and Parikia. on, will definitely decompress your body and soul. 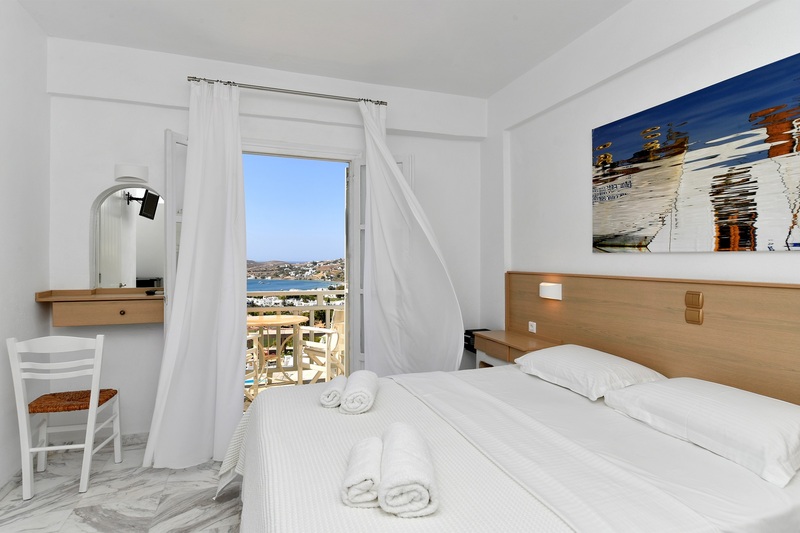 Discover many aspects offered only in our hotel.